Thomas Niver : National Financial Advisors, Ltd.
Talking about personal finances does not come easy for most people. That’s why Tom Niver takes the time to learn all he can about your life and your vision for your future. He believes in building strong, long-term relationships that are built on a foundation of respect for your personal beliefs, integrity and trust. His goal is to help clients understand their current situation, develop realistic goals for their future and, together, formulate a strategy to help them reach those goals. Tom develops customized financial strategies for individuals and their families as well as business owners and their loved ones. As an independent financial advisor, he has access to a broad array of financial tools, products and intellectual resources enabling him to bring powerful, personalized attention to each client’s needs and objectives. He has worked in the financial services profession for over thirty years. 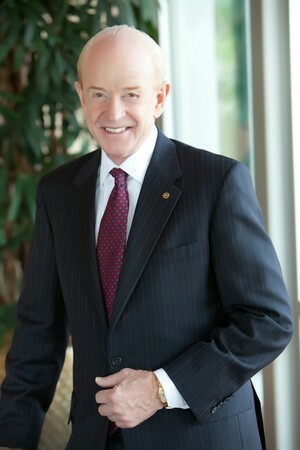 After starting two successful financial services firms for larger companies, in 2008 he established his own independent financial advisory practice, National Financial Advisors, Ltd. Firmly established in the Denver Community and a believer in “giving back”, he is very proud to be the 2013 President Elect of the Golden Rotary Club and will be President of that organization in the 2014-2015 term. Tom has a B.S. degree from Syracuse University in Syracuse, New York and holds the CLU and ChFC designations from the American College, Bryn Mawr, Pennsylvania. An avid fly fisherman, Tom also enjoys alpine skiing, back-packing and spending time tending his alpine garden.